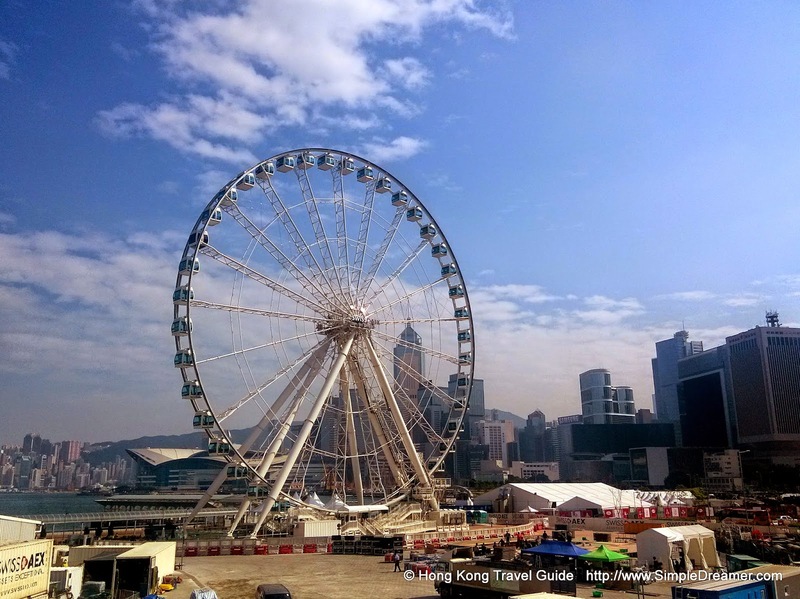 Finally, Hong Kong has its own Observation Wheel! For now anyway! Every modern-tradition city somehow has it's own tower, observation deck and/or observation wheel for tourists to look out from the top. Although Hong Kong already has three famous observation decks (at IFC, ICC & the Peak), the pearl of orient has been waiting for its "Hong Kong Eye" right at Central waterfront! After months of regulatory approval, this temporary structure is at last open to the general public. Visitors of Hong Kong's Ferris wheel can enjoy the stunning view of World Famous Victoria Harbour over looking Kowloon side on Hong Kong. It's "only" HKD $100 per ride! 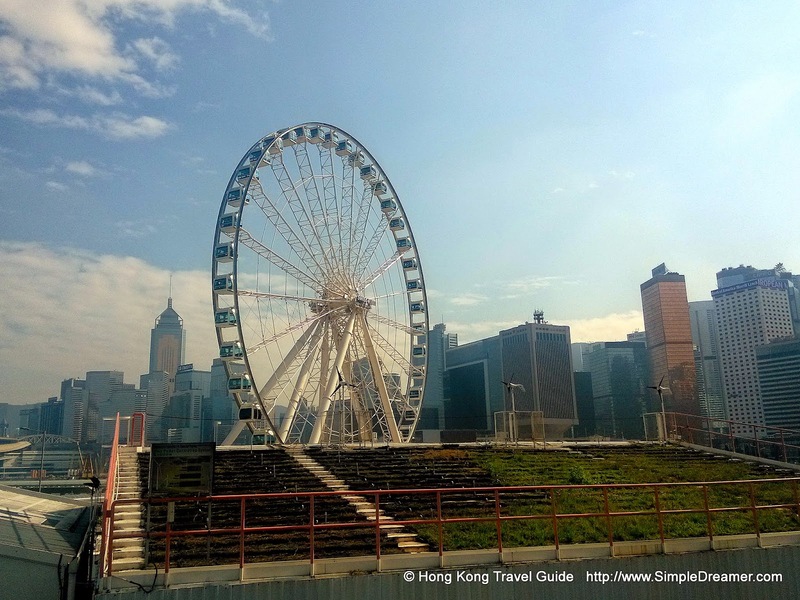 The easiest way to access Hong Kong Observation Ferris Wheel is by Star Ferry. 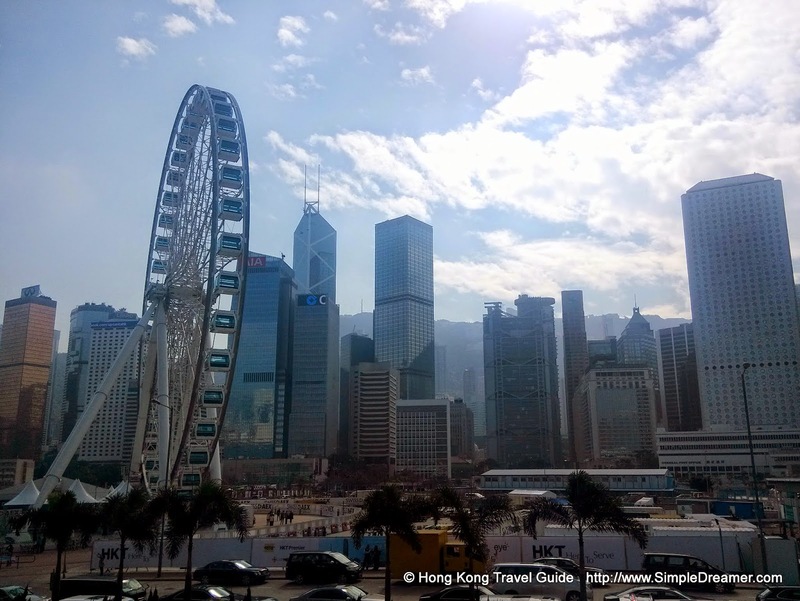 Simply take a Star Ferry from the Tsim Sha Tsui pier to Central pier. Alternatively, the huge Ferris wheel is just a short 10-mintue walk away from IFC Shopping mall (Hong Kong MTR Station).